It’s Pt. 1 of a special encore broadcast this week as we revisit our show at the historic Paramount Theater in downtown Denver from last year featuring two female artists that embody what it means to be strong and independent – the legendary Mavis Staples and singer/songwriter Ani DiFranco. 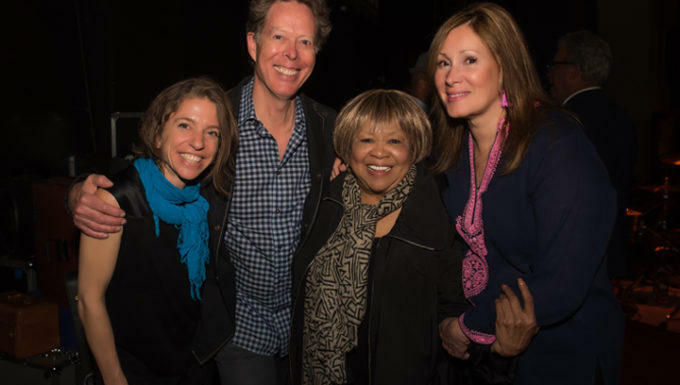 Along with lots of great music and conversation with the artists, we will check in with Colorado Governor John Hickenlooper, and present the Lifetime eChievement Award honor to Mavis Staples for her decades of inspiration and contributions to the Civil Rights movement. Hear eTown Wednesday nights at 10 pm on KRCB-FM Radio 91 / streaming @ radio.krcb.org / Comcast channel 961 throughout the Bay Area / Listen on the go - download the FREE KRCB App @ iTunes & Google Play!